Dr. Tom Curran is a speaker, author, and podcast/radio host. As a speaker, Dr. Curran has given over 1800 presentations to more than 350,000 people in 35 states and 6 countries. 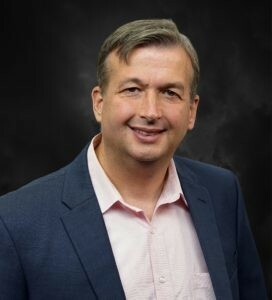 He specializes in many topics, including the Sacraments, marriage and family, evangelization, and the Holy Spirit.For more than 11 years Dr. Curran has been the host of Sound Insight, a Catholic weekday radio show and podcast that airs on 5 stations and reaches thousands of Catholics online. Dr. Curran is the author of The Mass: Four Encounters with Jesus That Will Change Your Life, which was listed on Top 10 Catholic Bestseller List within 4 months of its publication. His second book, Confession: Five Sentences That Will Heal Your Life, has sold over 10,000 copies. Dr. Curran received his PhD in systematic theology from the Catholic University of America in Washington, D.C., a graduate degree in theology from the Gregorian University in Rome, and has an undergraduate degree in philosophy. Tom lives in Federal Way, WA with his wife, Kari, and their nine children.